Everyone naturally wants to earn more, one of the easiest ways to earn more is to take up a commission-based job. 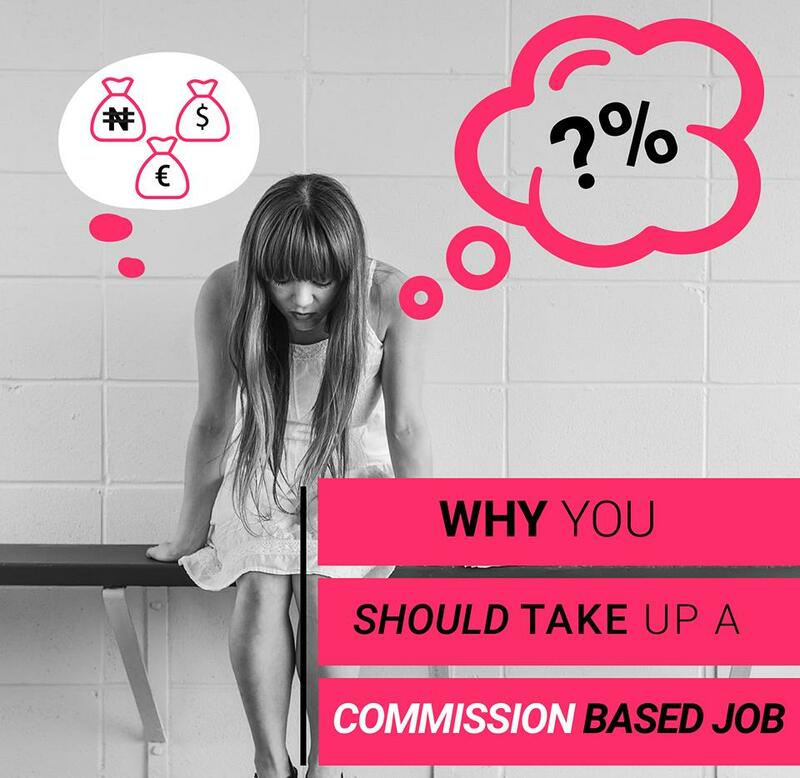 Many persons run away from commission-based jobs because they feel getting a fixed salary is more certain. The reward of a commission-based job is more certain because it is directly proportional to performance. The difference between a commission-based job and a fixed-salary job is that unlike fixed salary, the commission-based job is based on placing or positioning an individual, team or group on a pay scale depending on how well they perform. The scheme focuses on compensating the individual based on their contribution to the goal of the business, and not necessarily on the value of the position. For workers who want to improve performance and have specific metrics to measure success, taking up a commission-based job can show you how well you are. Many employees have thought of ways to earn more at their levels, and one of the fastest ways to do so is to get a commission-based job. Since the commission-based reward is practically based on one’s performance, it is, however, non-restrictive because you determine what you earn. Most persons have financial goals and vision, and achieving that goal sometimes could be very difficult, but the commission-based reward system makes it easy to achieve financial goals, as there is no limit to what one can earn, the limit is your performance. For a hardworking person that wants to earn more, commission-based jobs, unlike fixed-salary jobs, would offer you a great opportunity to earn more. In addition, performance-based compensations, unlike set salaries, gives low-level employees the opportunity to earn more and achieve financial growth, since increased pay is based on performance. This performance has no minimum or maximum, the more your work the better your reward; therefore how much time you have to devote determines how much reward you get. The time devoted is usually flexible for you to decide. Sometimes we tend to be more productive when we take charge of our own time. Planning your time and determining what to do at a particular time is more relaxing. Most persons can’t give their best when they are under pressure. Commission-based jobs give you the opportunity to set your own time as you wish in order to facilitate both career and personal demands. Since you know what you are to do each day, it is easier for you to schedule your time because you are not under any form of supervision. You choose your work time. These kinds of jobs make work/life balance effective. Having the opportunity to schedule one’s own working hours promotes morale and encourages healthy competition among employees. Everyone likes to pursue a career with a healthy work – life balance; commission-based jobs afford this opportunity. This alienates the rigorous of ‘early to work & late to bed’ lifestyle, thereby influencing for work and motivation. Motivation is a key factor that affects one’s interest and productivity. When someone doesn’t get the motivation required to carry on there is a probability that over time that person becomes uninterested. Different things motivate different people but for many, money is the motivating factor. Commission-based jobs motivate you to do more because that is the only way you will get paid after all. More financial reward brings out the best in people. Knowing that the reward you get at the end of the day is 100% based on your performance, there is a drive to do more and earn more. The motivational impact may vary, but salespersons driven by income tend to go after more prospects and work more to get sales if the pay is connected to success. Employees often take salary pay for granted. However, knowing that extra effort or results means more pay can actually motivate. Commission-based jobs motivate people that have financial goals they want to achieve over a given period of time. When people are motivated, their time is properly channeled to work as there is no laxity or frivolity. Concentrating on a particular thing rather than basically doing something general can control time waste to a large extent. When people have set goals to achieve or targets to meet up to, they tend to be more focused rather than being distracted. Being focused totally reduces time waste. For example, an employee that has a financial target to meet up will dedicate sufficient time to the work, in order to receive the benefits that are allowed for performance, this will inversely reduce time waste and increase productivity. Commission-based jobs can help one reduce time-waste by cutting down unnecessary activities and increase focus on work which is more important. It could also increase one’s level of self-discipline. Once this is in place, one becomes specialized and consequently skillful. Having a skill like we know has become a major determinant in securing a good job in recent times. As important as having a skill is in today’s world, developing it is key and even more important. Different persons have different skills. It is however important for you to take up a career that will project and sharpen your skill rather than inhibit the growth. Commission-based jobs could be the right skill facilitators for persons in job fields like sales, business development etc. For persons interested in sales, taking a commission-based job will put you in the right environment and mindset to succeed in your career. A commission-based job would build the right foundation for people in sales because 75% of jobs you will be exposed to as a salesperson will be commission-based. People interested in sales would love to take up commission-based jobs because they know they will earn more. Commission-based jobs can help build up one’s interest and skill, depending on the career path chosen. This comes with the power to control your income. Commission-based jobs make it possible for people to control their income since your destiny is in your own hands. The control of your income totally depends on you, as your income is not affected by any other factor, but solely depends on your performance. It makes you the master of the game because the ball is in your court. 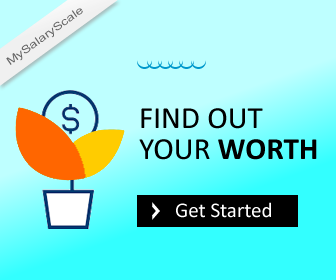 You determine exactly what you want to earn at a particular time. If you need to earn a particular amount of money in a month or time maybe to do something, you know you will have to work harder, and also for older workers that do not wish to push themselves too much, you can just relax and earn what you feel is enough for you, rather than being under pressure. For a person seeking opportunities to control income, a commission-based job is great for you. If you are given the opportunity to earn more in a more relaxed and flexible environment, I am sure many people look forward to having that opportunity. Commission-based jobs could be that great opportunity for many depending on their career path, interest and job field.